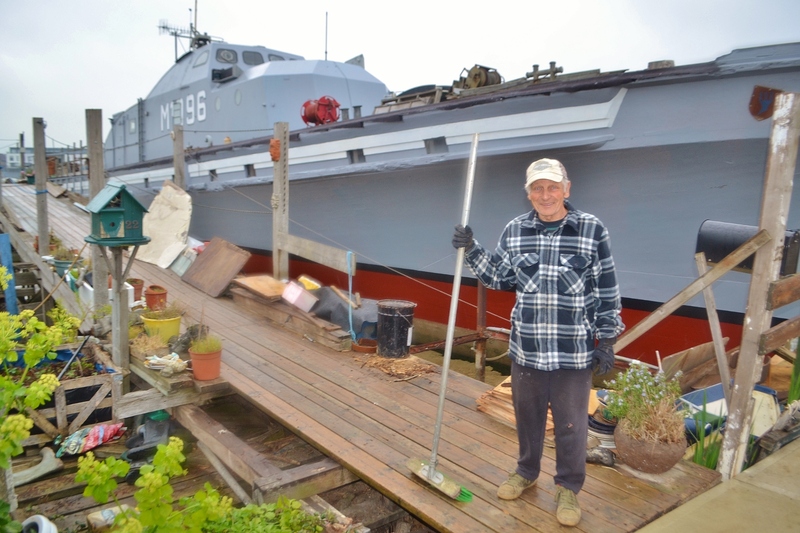 Meeting the owner of the biggest ship in town: Fred Cole and his 150ft long old minesweeper ship called Fische carried a crew of 39 during the cold war when patrolling the Baltic Sea, so there was no shortage of space. 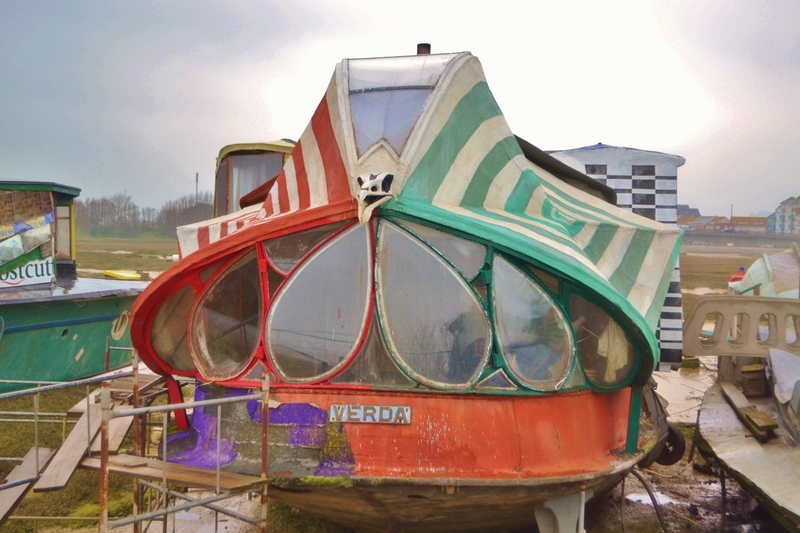 She cost £800. 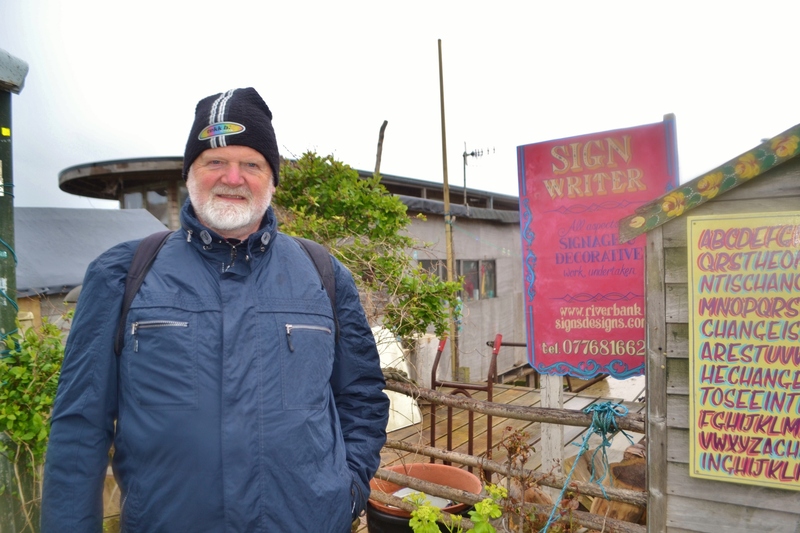 Fred says he has always had an eye for a bargain, although it cost thousands to bring the boat to Shoreham, make it habitable – and then fight to keep it there. 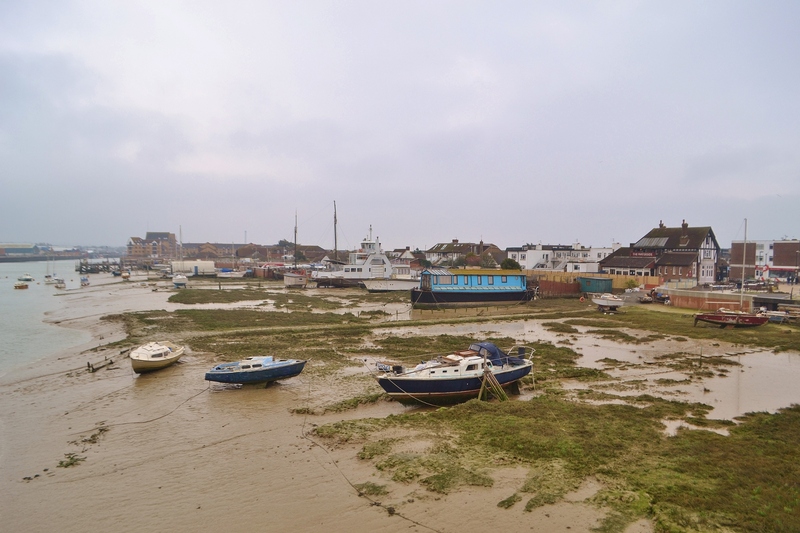 What has grown along the “Bloomin’ Adur” is a unique bridge between land and sea of cobbled treasures made from another’s trash. 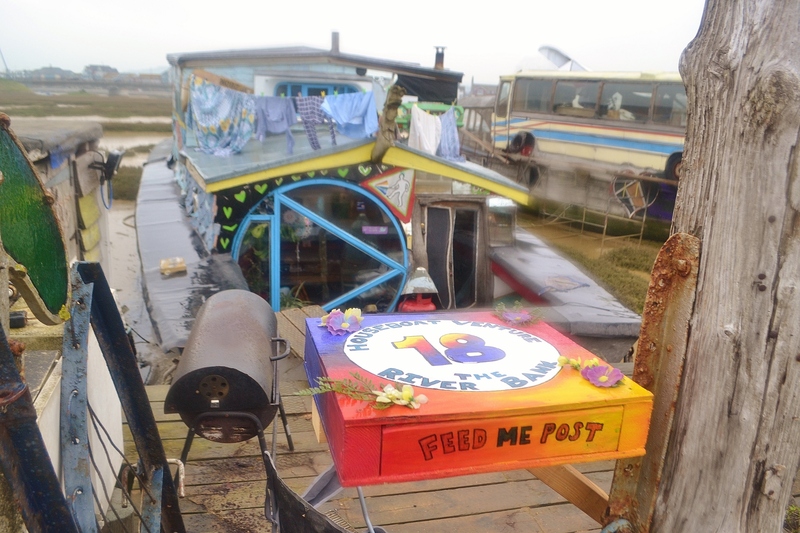 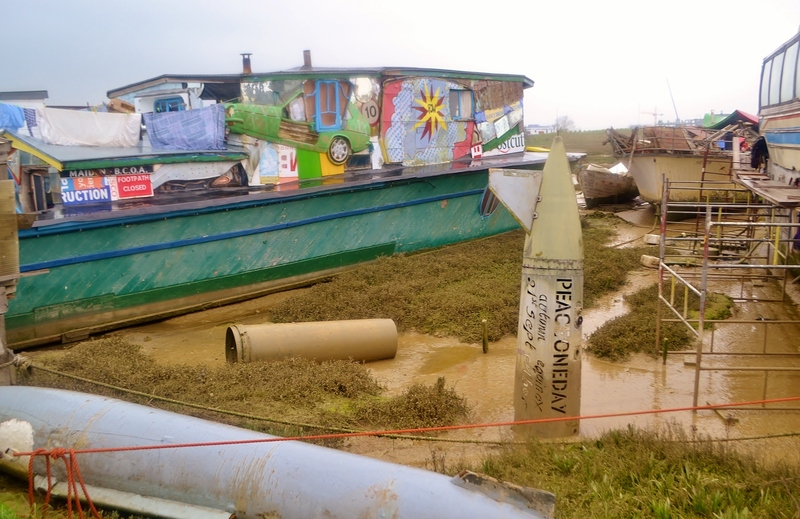 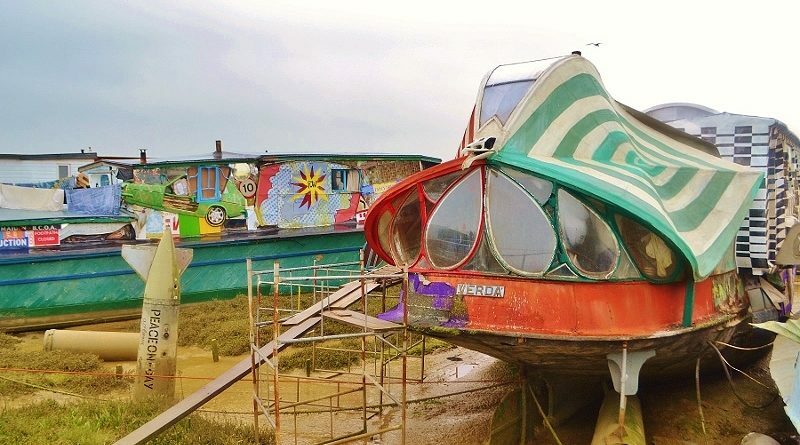 The obscure houseboat art collective has been growing since the end of World War II, when decommissioned military ships were retired to Shoreham’s tidal mud flats. 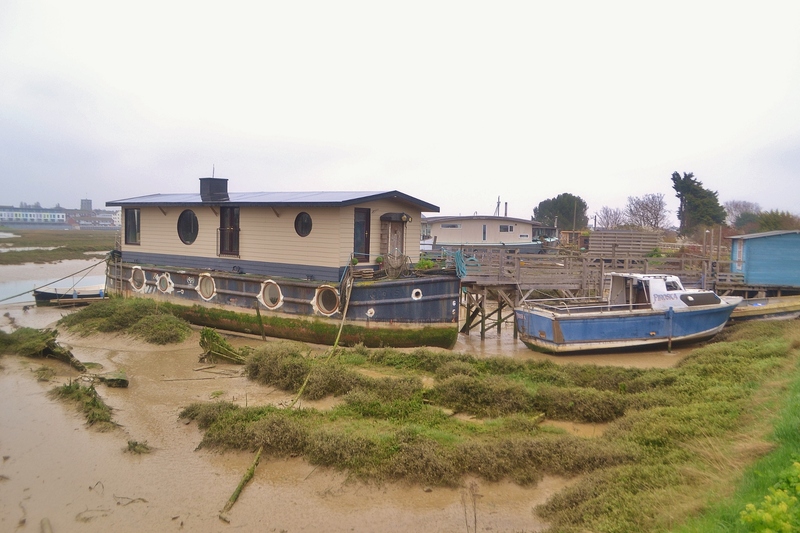 Today there are some 50 to 60 boats to be found at the site and, since the structures are waterborne, few building regulations apply, meaning owners can unleash their greatest structural/architectural/artistic fancies in the midst of a wild, natural setting. 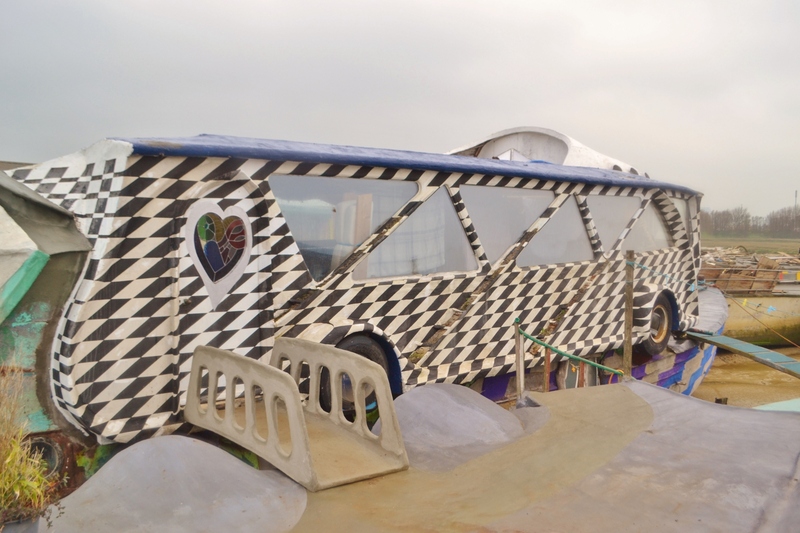 The result is a labyrinthine dream afloat — a gaudy Gaudi vision made with love and a lot of hard work. 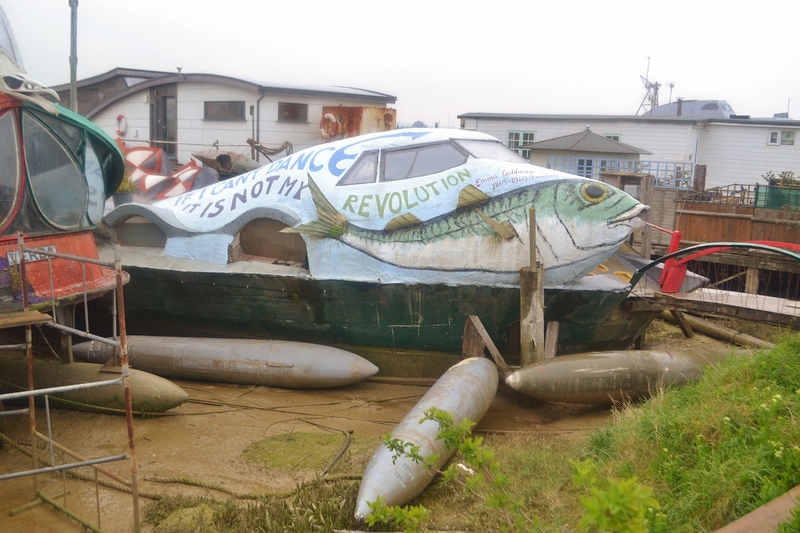 Some highlights include: the Verda, which is made of parts and portions of seven or eight different boats, as well as two buses and a Reliant Robin; the Dodge, which incorporates an old fire engine and is available for rent on Airbnb, making it one of the most magically odd apartments ever conceived; the Clive, a former World War II Motor Torpedo Boat (with an aeroplane fashioned on top, of course) now home to a huge workshop and pop-up cafe; and the Fische, a mid-century German minesweeper that — having been designed for a crew of 30 — now provides its owners with more-than-ample living space. 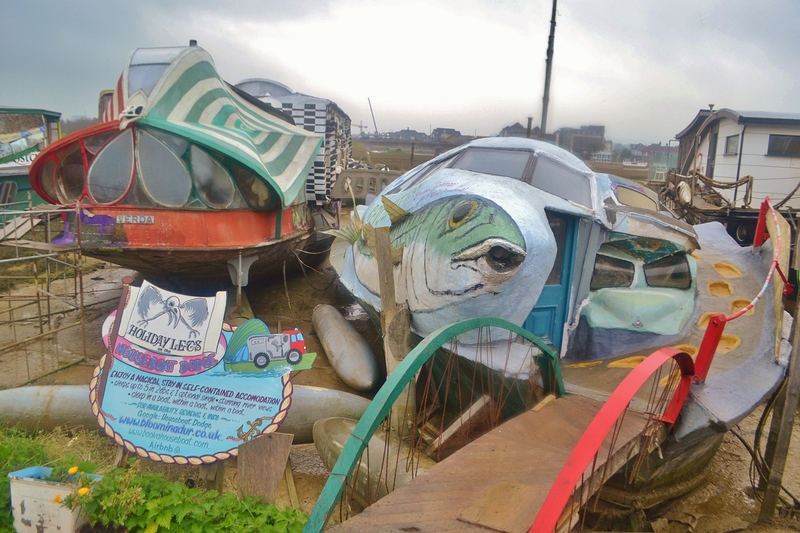 The boats are open for the Adur Festival, Adur Arts Festival and the River Festival – check online for dates. 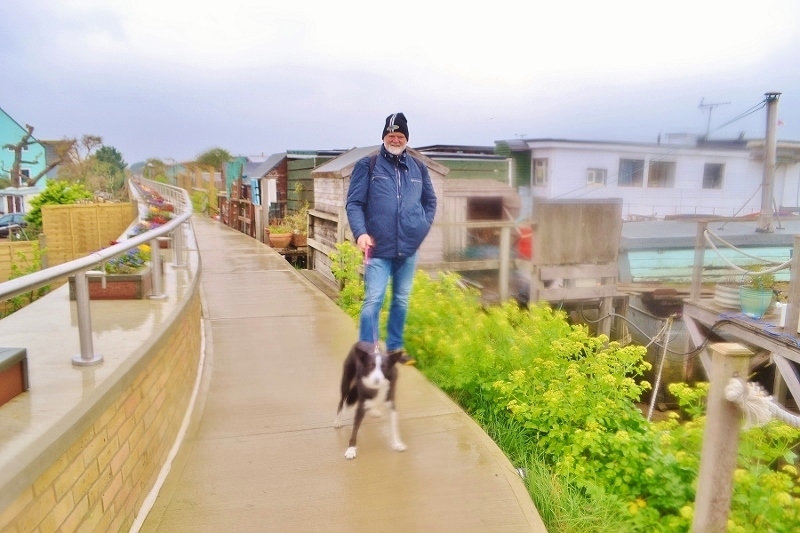 Train station is in the twee town of Shoreham a hop over the glass bridge, 700 coastal bus service runs regularly from Brighton and beyond. 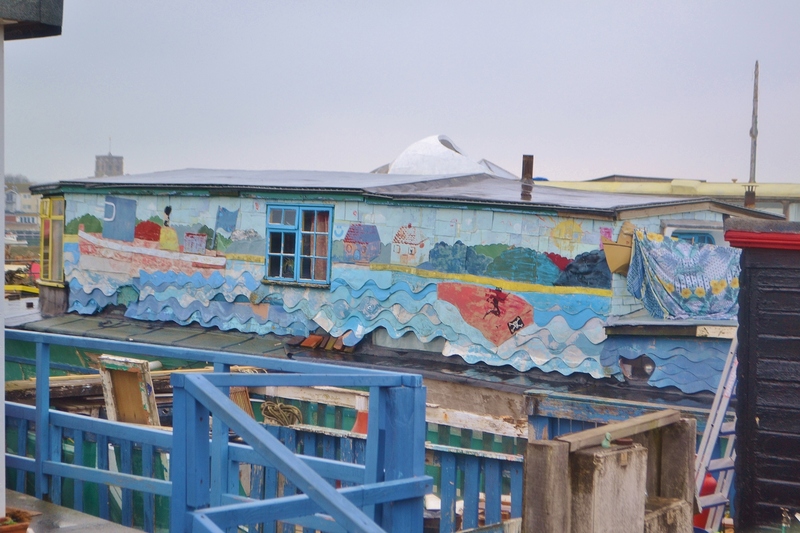 Tucked into the estuary of the River Adur in the coastal town of Shoreham-on-Sea in Sussex, England is a row of houseboats in dazzlingly slapdash designs and bustling with the creative energy of its residents.